Kicking off last night at the National Museum of the American Indian is a special exhibit about our 50th state, Hawai’i. The exhibition, “This IS Hawai’i” is a collaboration between NMAI and Transformer, a Washington, D.C.-based nonprofit visual arts organization. Together, they present a multisite exhibition featuring new and experimental works of art that explore what it means to be Hawaiian in the 21st century. The artwork includes sculpture, action figures, drawings, an interactive website and a fictional work titled “Post-Historic Museum of the Possible Aboriginal Hawaiian.” The work of Maika’i Tubbs will be presented at Transformer, opening day Saturday, May 21, and the work of Solomon Enos and Carl F. K. Pao will be presented at the NMAI’s Sealaska Gallery, with artist Puni Kukahiko’s outdoor sculptures presented at both sites. The exhibition is presented in tandem with the museum’s annual Hawai’i Festival, which is this weekend. There are other events planned around this exhibit through Memorial Day weekend, including the museum’s popular Dinner and a Movie, live performances, a fellowship dance, and interactive discussions. All of the events are free at the museum. This afternoon from 4-5:30 p.m. is a special Where Art Worlds Meet: A Conversation with Indigenous Hawaiian, Native American, and Aboriginal Contemporary Artists in Room 4018-19 on the museum’s 4th Level. The global indigenous art scene has experienced dynamic growth and change in the first decade of the twenty-first century. How has this rapid evolution affected indigenous contemporary artists from different regions and varying cultural backgrounds? What strategies and artistic practices are working now? Join for a lively and insightful discussion with artists Puni Kukahiko, Alan Michelson, Carl F. K. Pao, and Gina Matchitt. Kathleen Ash-Milby, the museum’s curator of contemporary art, moderates the program. Today at 7 p.m., NMAI presents Dinner & A Movie: Papa Mau: The Wayfinder. At a time of cultural reclamation and renaissance, a group of young Native Hawaiians embarked on a mission to revive the traditional Polynesian arts of canoe-building and wayfinding—non-instrument, celestial navigation. Their search led them to the Island of Satawal in Micronesia, and the master navigator, Mau Piailug, who shares the ways of their ancestors aboard the voyaging canoe, Hokule’a. Cuisine from the museum’s Zagat-rated Mitsitam Cafe will be available for purchase from 5–6:30 p.m. Seats in the theater are limited but there’s still time to register online. The movie is free. This weekend (Saturday and Sunday) is the Celebrate Hawai’i Festival! from 10:30 a.m. – 4:30 p.m. This festival is the museum’s annual celebration of Hawaiian arts and culture and coincides with Asian Pacific American Heritage Month. 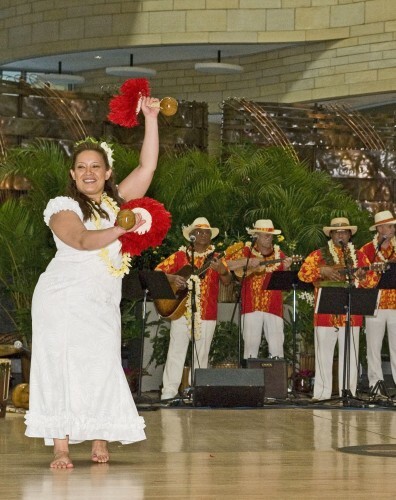 Visitors can watch hula performances, take in a Hawaiian cooking demonstration, participate in authentic Hawaiian arts & crafts workshops, and attend discussions about Native Hawaiian cultural traditions and ecology. Go online for the complete schedule. The festival is free. Next Sunday, May 29, is a free Youth Cultural Exchange and Friendship Dance beginning at 10:30 a.m. The Children of the Four Directions — Nations from the North, East, South, and West — sing, drum, and talk about the ways of their tribes. At the end of this exchange, each tribe will present small gifts to the museum that illustrate their rich history. A Friendship/Round Dance ends the event. The tribes include Hulapai, Hopi, Navajo from Arizona and New Mexico, the Ojibwe Band from Red Lake Minnesota, the Oglala Sioux from South Dakota and the Yavapai and Apache from Arizona. 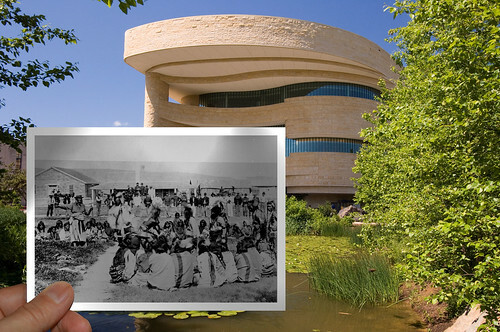 The Smithsonian’s National Museum of the American Indian is located on the National Mall at Fourth Street and Independence Avenue SW. 202-633-1000. www.nmai.si.edu/ The Closest Metro stop is L’Enfant Plaza, servicing the Blue, Green, Yellow, and Orange lines. And now I’m dreaming about Hawai’i.